New Product Launch & Customer meet was organized at our Head Office facility in Gurgaon on 8th Jun 2018. 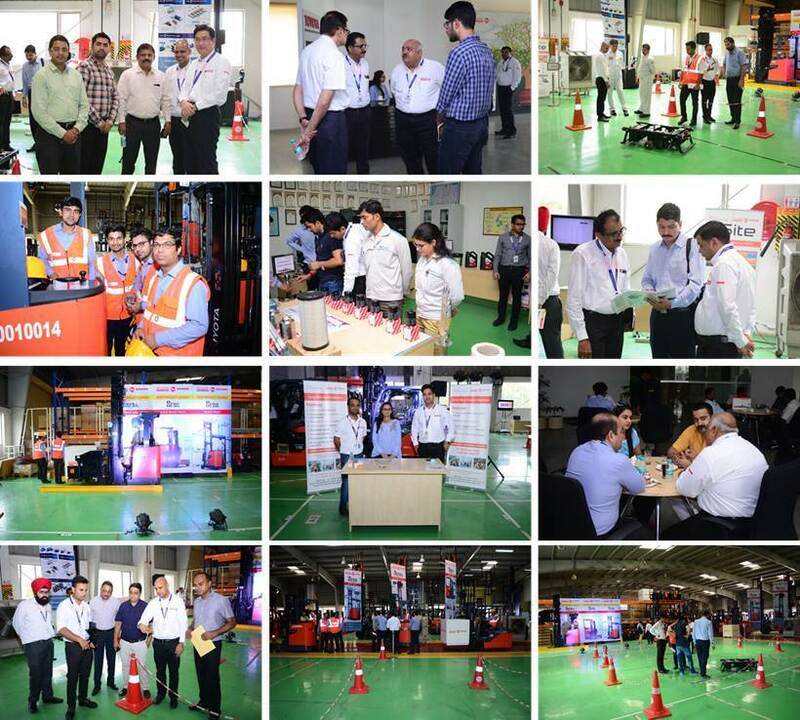 Customers from cross section varying from Automobile, Auto components manufacturers, Warehouse, Pharmaceutical, FMCG and other industries from Noida, Faridabad, Delhi, Manesar and Gurgaon region visited us and witnessed the new product demonstration. New products included Very narrow Aisle Reach truck (8RFBA), 4-Way Reach Truck (8FBS), upgraded Reach Truck (8FBR) along with 3-Wheel electric forklift and Key Cart. Total 88 customers from 45 different companies bestowed their presence in the event. They appreciated the new product range and live demo of newly launched products.